Celebrity Diet: Gwyneth Paltrow | Macrobiotic Diet, Exercises & Cellulite tips! 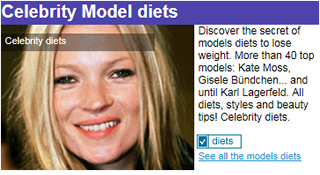 Gwyneth Paltrow: Macrobiotic Diet. Weight Loss. 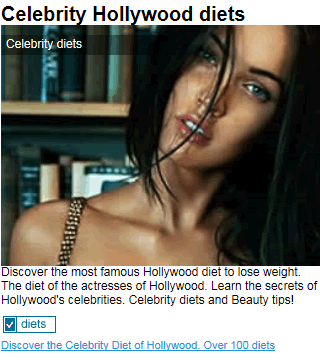 Celebrity diet, Exercises, Style & Cellulite tips! Gwyneth Paltrow takes care about her body weight? For sure. The actress eats organic food and follows the Macrobiotic Diet. Her husband Chris Martin, singer and leader of the band Coldplay, follows also the macrobiotic diet. Typical menu of the Macrobiotic Diet: miso soup + steamed fish + infusion. Should I follow the macrobiotic diet or not? According to our experts: "The Macrobiotic Diet is a healthy recommended diet. The daily consumption of organic farming cereals has huge benefits for health (proteins, vitamins, minerals and fibber). The trouble, if we take too many carbohydrates, the excess of glucose can become fat. Before following this diet, please consult your doctor or nutritionist." After 2 children, the actress devotes 2 hours a day to do various exercises in machines and aerobic. In addition, Gwyneth Paltrow practices yoga at least 4 times a week at home and tries to do every day respiration and meditation exercises. The actress says that after a shower and after having practiced exercise, it's the best moment to apply an cellulite cream. During this period, it increases the blood in vessels and the pores are dilated, so the product for cellulite is absorbed much better. Gwyneth Paltrow recommends to put cream with vigorous and circular movements.